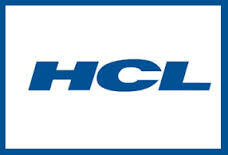 About Company: HCL Technologies Limited is a global IT services company, headquartered in Noida, Uttar Pradesh, India. Job Description: HCL Off Campus for Frehsers : Software Trainee : On 30th June 2016 for Ranchi location. Interested and Eligible Candiates can Directly Walk-in to above Mentioned Address. Are you looking for a referral job? NOTE: Don't forget to Register Here for Regular Updates about the job applied & New Jobs. Do you "Like" prepareinterview.com? Could you "Like" us in our Facebook page?